Ready to venture into a world of symbols, representations, and correspondences? 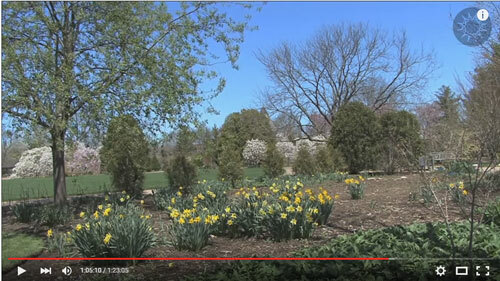 Starting with Easter symbols like rabbits, eggs, and clothing, then examining details within the story of Jesus’s time on the cross and his resurrection, Curtis Childs leads viewers on a journey through Emanuel Swedenborg’s interpretation of the biblical Easter story. 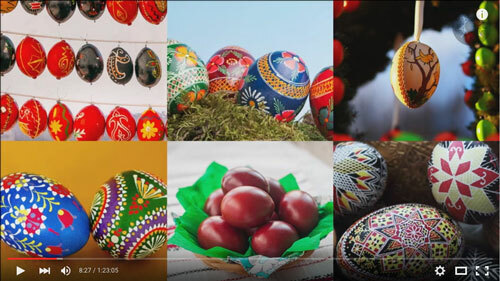 All of these ideas come together to create an image of today’s Easter celebrations: candy, rabbits, egg hunts, and much more. How do we sort out all these symbols? How can we see and give meaning to our traditions? As Curtis suggests in the beginning of this episode, clear off some brain shelf space, do some mental stretching, and be ready to add in new shelves for some heavy symbolism. Let’s start with the Easter Bunny. 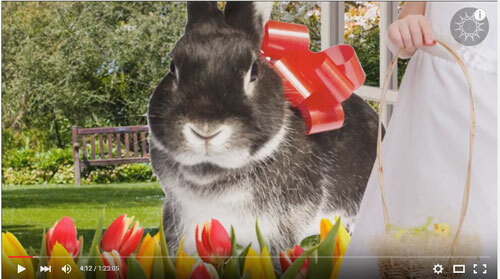 As explained by special guest Dylan Odhner, the Easter bunny comes from an ancient set of traditions surrounding a Germanic goddess named Eostra, who is associated with renewal, rebirth, and vernal equinox feasts. This can be “traced back to thirteenth-century, pre-Christian Germany, when people worshipped several gods and goddesses . . . Her symbol was the rabbit because of the animal’s high reproductive rate.” Here is a story on the Discovery Channel that provides more information on the subject. How does that fit in with the biblical narrative? Would Swedenborg have any light to shed on this situation? In each animal, Swedenborg says, we can see the pattern of God’s kingdom: the infinity of creation and regeneration. All of nature shows the eternity of life and the power of God. Putting on new clothes represents the transition between the stages of growth involved in regeneration; going from one “egg stage” to another cannot happen unless we are cleansed of the things that are holding us back from being better. Purification must happen in order to put on new ideas that lead life in a better direction. Finally, Curtis looks into the actual date on which we celebrate Easter. At the Council of Nicea, they decided that they would celebrate on the first Sunday after the first full moon occurring on or after the vernal equinox. This is significant because it permanently placed Easter in the same time frame as Passover. They go hand in hand now because of their placement in our calendar year, even though they are celebrating two different biblical events—but how different are those stories really? Hold on to your hats, viewers. Curtis is taking us through some shelf-filling symbolism in this section. Let’s start by looking at the Last Supper as compared to the events that inspired the Passover holiday. Passover is a celebration of events described in the book of Exodus, when the enslaved Jews escaped from Egypt under the leadership of Moses. Curtis says that this same story is describing symbolically what happened with Jesus during the Last Supper, his final meal with his twelve disciples before he was betrayed and crucified. For more fun details, watch this short clip, “Why God Needed to Become Man,” taken from one of our previous episodes. 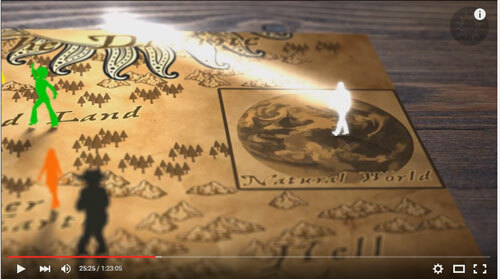 In this clip, we show a game board design of the construction of heaven. It breaks down the ideas into smaller pieces, and we’re expanding on that idea now by looking at Jesus’s influence on heaven. 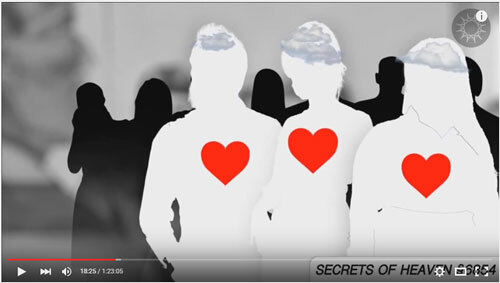 Hold on to that visual as you travel to another tidbit that sheds light on the individuals inhabiting part of the spiritual world when Jesus came to earth. Now, travel to another previous episode, called “The Meaning of Noah and the Flood.” In that episode, we talked about the new kind of person that came after the Flood. This new kind of person didn’t have an immediate place in heaven. A new heavenly place had to be created for them by Jesus because they did not fit in the same places as the people did before the Flood. Sound confusing? Curtis describes how that kind of mindset relates to Jesus’s resurrection. The game board is used again to create an image of earth and heaven and the relationships between layers and levels of heaven. The Promised Land in this scenario is a place for the simple, good people who lived after the Flood. For a while, demons could hide out among these good people by doing the “good” things and blending in. However, the demons wanted to lead the good people into bad places. Trouble! These people had no way of knowing, due to their simple natures, and they were following these disguised devils. According to Swedenborg, Jesus Christ then came into the world to straighten up and divide up the heavens, to be sure that heaven was a safe and happy place for everyone. He went around and pulled people from the lower heavens into the higher heavens they were meant for, and the devils were sorted from the good people and sent back to hell because they were repulsed by Jesus’s goodness. The fact that Israelites are slaves in Egypt corresponds to the idea of the captives in lower earth, as well as the parts of us that are trapped until the Lord comes to us in our own lives. Moses leading the Israelites to the Promised Land corresponds to the initial leading of the simple, good people to heaven, as well as our own struggle to accept a heavenly mindset. Once the Israelites get to the Promised Land, they still have to fight and conquer the land of Canaan. This corresponds to the sorting of hell, as well as the internal fighting of hell in our own lives. Keep in mind, through all this heaven and hell talk, that throughout history, the afterlife has generally been thought of as a pretty dismal place. People did not enjoy death but feared it and its implications. 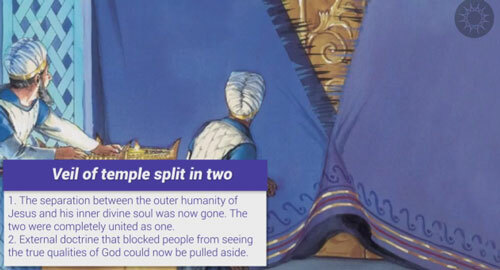 It wasn’t always divided into clear categories of a good afterlife and a bad one. Now, we move on to the idea of sacrifice, especially the sacrifice of lambs. Why does blood have to be involved in the Passover? Why a lamb? Guest Chelsea Odhner explains the meaning of blood at the time and the symbolism of blood in Swedenborg’s writings. Remember, the Bible is a very bloody book. There is a lot of sacrifice, and this doesn’t happen because God is fond of sacrifice. It happens because it was already the language of the people. They spoke the language of sacrifice. Jesus desired mercy instead of sacrifice, but it’s still often looked at as a sacrifice to God the Father that Jesus died on the cross. Jesus’s blood takes on a huge amount of symbolism throughout his own sacrifice. Swedenborg says that blood is the symbol of living truth—water is taken into the body and enables the blood to continue to move, fueled by water—hence its meaning as the living water, or living truth. After Jesus dies, the angel rolls back the stone, which means that divine truth was being opened up and revealed. Guards faint and women are terrified as the sudden appearance of a heavenly presence was scary and overwhelming. 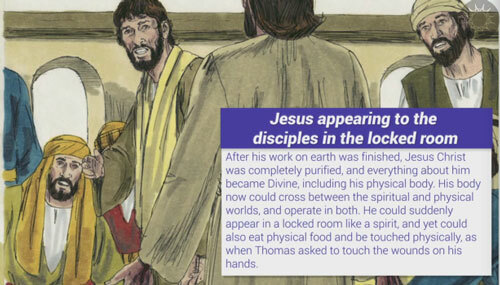 Jesus appears to the disciples in a locked room, marking a unique instance of the spiritual becoming physical. In Luke, Jesus walks with two disciples to Emmaus and tells them about how the details of the Old Testament describe his own journey on earth. “And they said to one another, ‘Did not our heart burn within us while He talked with us on the road, and while He opened the Scriptures to us?’” (Luke 24:32). What did he open? There has to be something all new in there because of their shock and awe. This whole episode develops the idea that there is always more to be discovered, more to be known and understood, even when we think we know everything. For this section, Curtis reminds us of the horrible situation that the disciples were in when Jesus disappeared. All of a sudden, these poor guys were left—they had planned their life around something that just disappeared. What about life feels like that for us? There are times of crushing defeat, of struggle and turmoil, and of difficulty. In our lives, we continually follow the same pattern of resurrection. Look at the period of three days, which shows up over and over again as a common human theme. Dylan Odhner returns to talk about the significance of a three-day period both in the Bible and outside of it. Jonah and the Whale—Jonah is born again after three days with a new sense of purpose. Pinocchio—fleeing his destiny gets him in lots of trouble until he is swallowed whole by a whale. His three days in the whale give him everything he needs for a second life that is more real than the first. Aladdin—pathologically lazy kid gets foolishly tricked into going into the cave in which he gets trapped for three days. He emerges from the cave with the genie, an image of a human soul who leads and guides him through huge life changes. In our own lives, our resurrection happens when we go through hard things and come through them with new insights and ways of living. Curtis gives an example of the way separation from love feels to us—the way struggles and suffering takes a toll on our lives. He tells viewers to think about the very first winter. You would think that it was the end of the world. However, we know that spring comes. This happens in our internal lives as well as in the natural world—we go through states of coldness and separation from love, and it feels like the end of the world. But new stages of growth and change and happiness follow those periods of darkness. You’ve lived through despair and sadness. When we talk about the freeing of the captives, we’re talking about ourselves as well. God came to rescue all of us with the truth—it will set us free. A passage from Swedenborg’s writings illustrates how the dawn can symbolize the beginning of a new spiritual understanding inside us. God comes to us in our lives during those dark times. He’s the dawn for each of us. This is the promise that is within the Easter story—a promise of good things to come after the struggle and sadness. The dawning of the Lord’s kingdom for each person saves us and brings us closer to God. Is it wrong to avoid people who have let evil take them over? I don’t drink alcohol so I don’t go to bars, but I have gone to churches and found people who have succumbed to evil too. Is it necessary to believe Christ literally dematerialized? I’ve read that he actually survived and went on to Nepal, but couldn’t all of the symbolism be the same without him actually dying? Does Swedenborg believe that there is but one Son, one Christ, one Spirit? Are we it since we are one with Him in God? When Jesus is on the torture stake or cross, who is he talking to when he says that God has forsaken him? I guess I’ve never considered this yet, but does Swedenborg say that angels can rise to a higher tier in heaven? Can a spiritual angel become celestial? How many heavens did Swedenborg say there are and could more be created in the future? Why do some people claim they have gone to hell and witnessed all the suffering? I recently purchased one of your books on the symbolism in the Bible. Do you believe that the meaning of those symbols is static? As in, once they are learned they can be translated the same way in every instance?